ANC6A Transportation Committee Members listen to neighbor’s concerns about rats, trash, parking, standing water and parking. 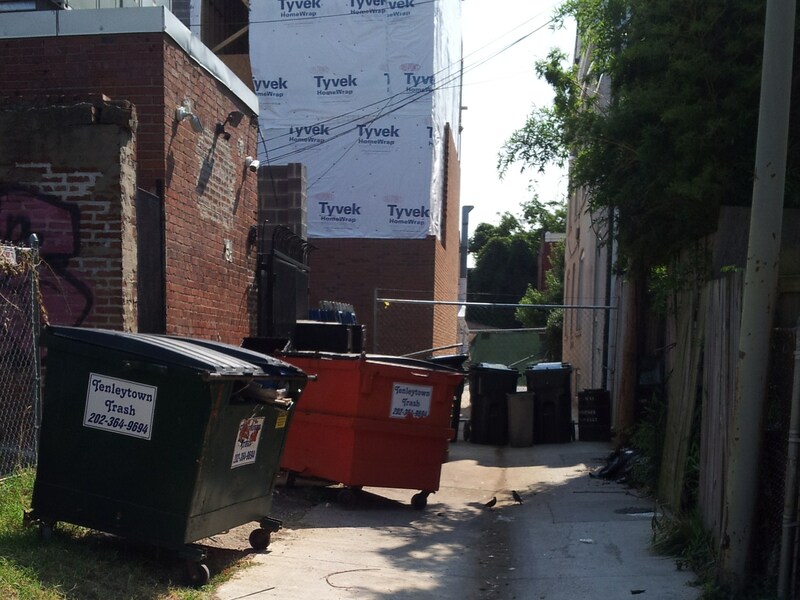 Conditions in an H Street alley last summer. The fence has been removed but trucks displaced by street cars must use the alley for deliveries to H Street restaurants. ANC6A’s Transportation Committee convened its monthly meeting last night to draw together residents, businesses and city agencies in a collaborative effort to address the numerous problems besetting H Street and associated with rapid development Atlas District. 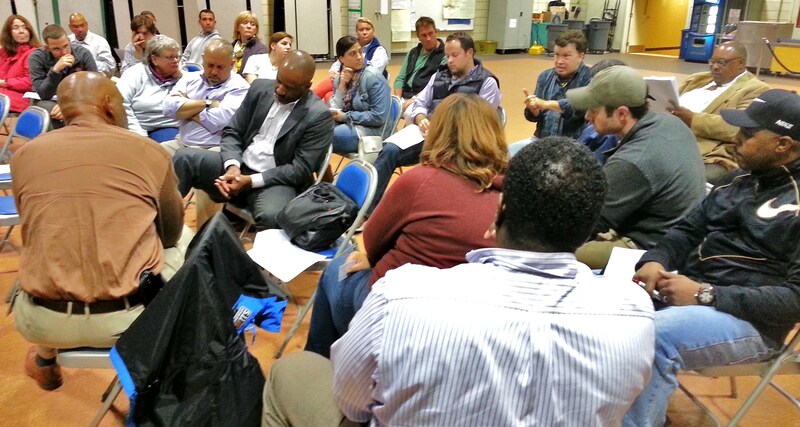 Last night’s focus was on cleanliness, surface maintenance, rats, garbage, trash, safety and parking. City officials present included Gil Davidson from the Department of Consumer and Regulatory Affairs (DCRA) and Jeff Baxter of DC Department of Transportation (DDOT). A third agency whose participation is critical to addressing the host of problems – Department of Public Works– was a no-show. Another key organization with a vested interest in problem solving who failed to show was H Street Mainstreet. Committee Chair Omar Mahmud said that the crux of the problem was the lack of inter agency communication to coordinate a multi-pronged approach to addressing the multiplicity of problems. A potentially valuable suggestion was offered by Gil Davidson, Housing Inspections Program Manager for DCRA. 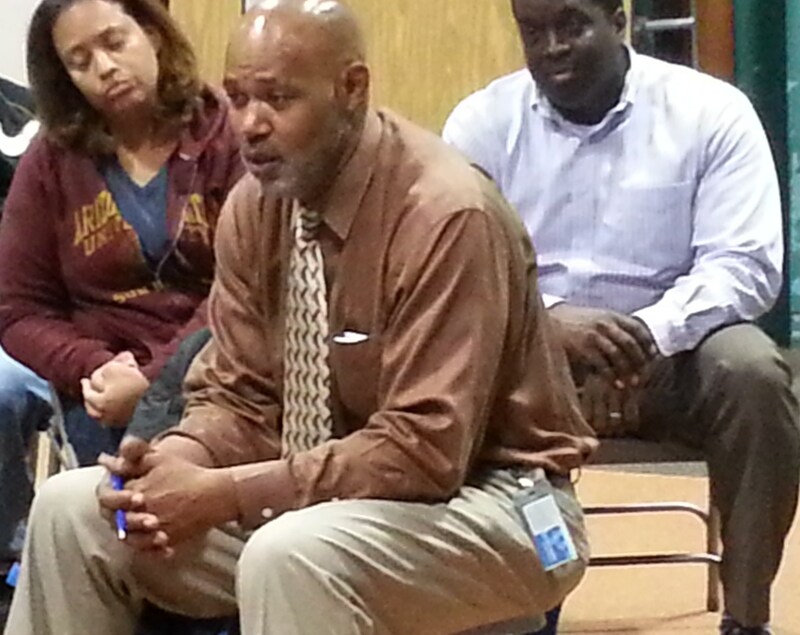 He referenced the “Core Group” concept employed under the Fenty administration – a group comprised of representatives of city agencies and community stakeholders meeting regularly to address community issues. Davidson said, “It was very successful – but it fell off under Mayor Gray.” He said one “Core Group” is still active in the First MPD District in Southwest. H Street is struggling to transition from residential/retail to residential/entertainment (food has become entertainment) and new multi-unit residential development. According to a NYT article on DC restaurants moving into residential neighborhoods (http://nyti.ms/1zijqUO), the number of DC restaurants has doubled over the past ten years and by September of this year, there had been a ten percent increase over the total number of alcohol beverage licenses issued in all of 2013. The problems resulting from more restaurants have been compounded by the construction of a streetcar line on H Street. In addition to making driving down H Street much more problematic and elimination of parking on H, the streetcar has displaced delivery trucks to narrow, poorly maintained alleys running parallel to H Street (and behind residents’ homes) which were already choked by dumpsters, trash cans, construction. 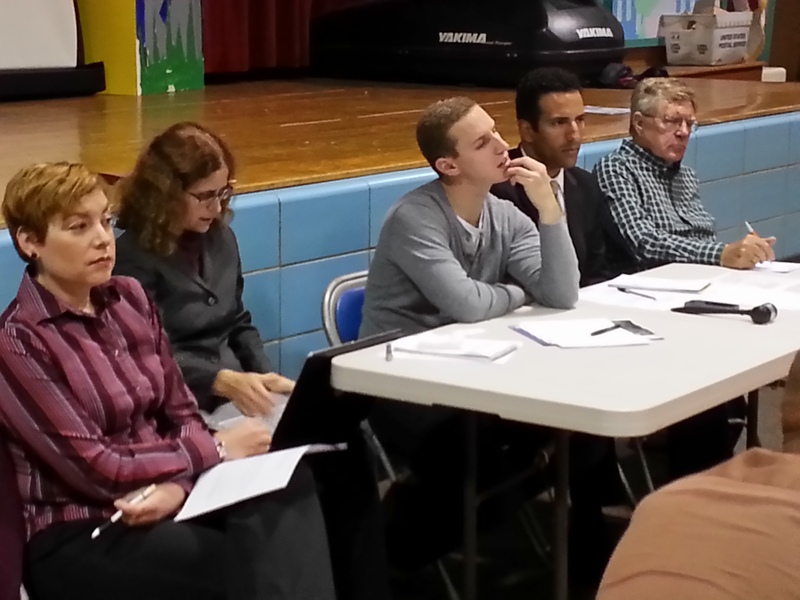 More than two dozen residents from a broad area of the Atlas District attended the meeting to cite issues that are affecting their quality of life – many directly related to the increased density brought to the neighborhood by the promotion of H Street as a destination, and by the attendant burgeoning construction of new residential units. Hundreds of new condos and apartments have already been built, and more than 1,000 new units are planned or under construction. One resident said, “We don’t know what to do next when what is supposed to happen doesn’t happen.” Overflowing dumpsters, rat infestation, rotting food, “horrific stench,” sludge, and stagnant pools of greasy water beset neighbors. They cite lax enforcement of city regulations, and say that fines, when they are levied, do not serve as effective deterrents. 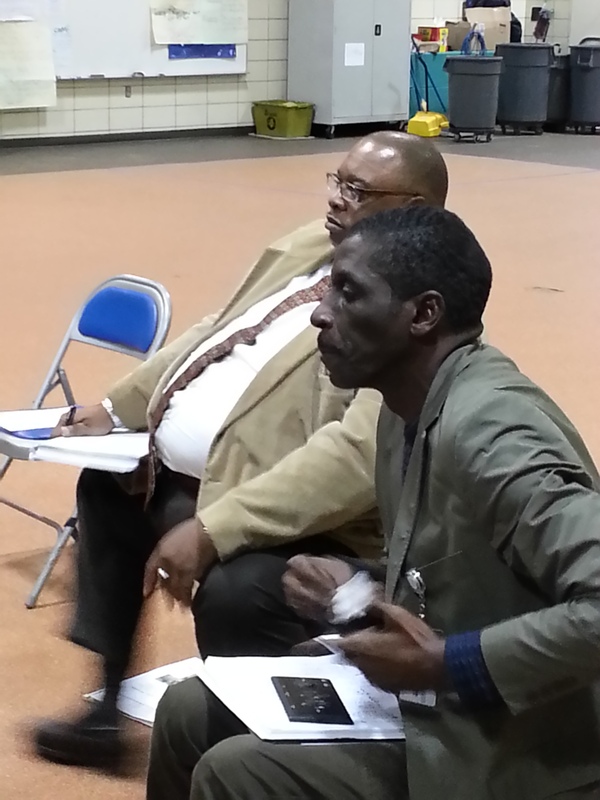 The consensus of both commissioners and residents was that the city needs to be proactive rather than reactive. As one resident put it, the transition of H Street came very quickly, leaving the city with no idea how to handle the emerging issues. The answer, she said, was not to be reactive – it involves much more than trying to “fix all these problems separately.” CM Tommy Wells’ office was not represented at the meeting, though it is clear that the participation of his office will be necessary. 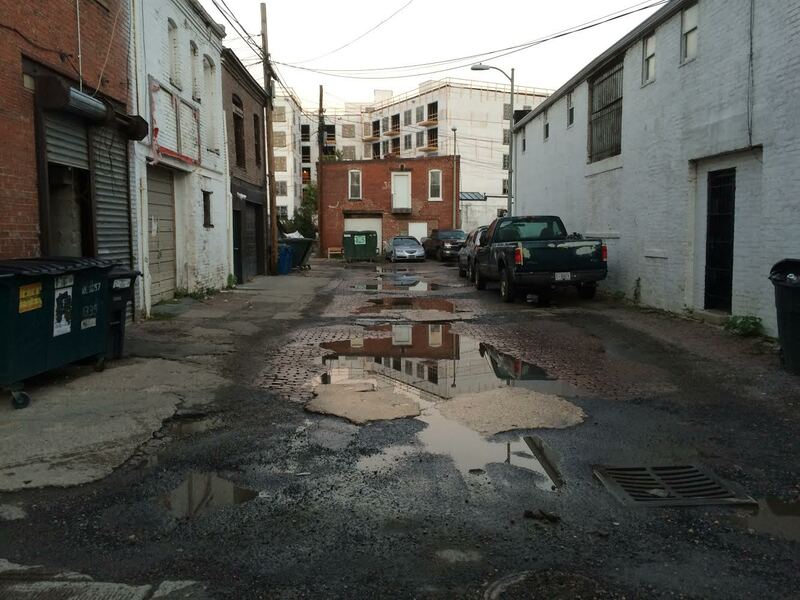 Mahmud said the Committee would continue consideration of how to improve H Street alley conditions at the next meeting in November and that he will push to get the Department of Public Works to that meeting. Malmud said his take-away from tonight’s meeting was the need to follow up on DCRA’s suggestion regarding the development of a Core Group approach, to make the DDOT’s list of alley re-development projects available to residents, to urge city agency officials to reach out to colleagues in other departments to bring them into the effort, and to encourage greater participation by business owners. This is such a Larry article. Commerce=bad.